These three new books in the Mertz Library focus on growing, foraging, and cooking edible plants. Each offers a different perspective on human and plant interactions, and will inspire readers to think about new recipes and garden ideas. 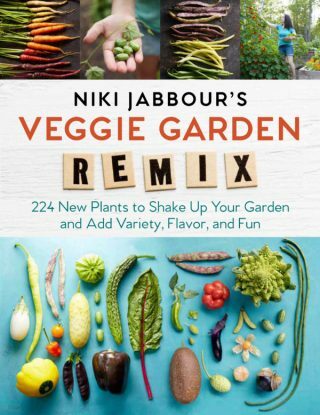 Niki Jabbour’s Veggie Garden Remix: 224 New Plants to Shake Up Your Garden and Add Variety, Flavor, and Fun (2018) by gardener, author, and The Weekend Gardener radio show host (and creator) Niki Jabbour offers vegetable gardeners some new ideas to try alongside tried and true North American garden favorites. A laundry list of interesting varieties and cultivars, Veggie Garden Remix is a simple book, yet will be fun for those who like to try something a little different in their gardens. The book doesn’t include information about where to source particular varieties or cultivars from; readers may wish to investigate Seed Savers Exchange for hard-to-find recommendations. 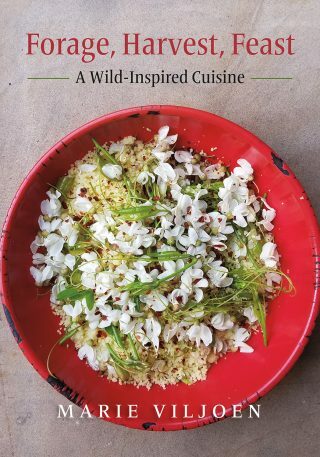 Forage, Harvest, Feast: A Wild-Inspired Cuisine (2018) by Marie Viljoen opens with the premise that “it is time to refresh our palates.” Viljoen, based in New York City, is an advocate for foraging and has received praise for her inventive use of foraged flora in her cuisine. Forage, Harvest, Feast is meant as a cookbook and not as a field guide. It will appeal to readers who are looking for inventive ways to use locally-foraged plants in their cooking. Home chefs and restaurateurs alike may find inspiration with her recipes. The book may not, however, appeal to readers who are more cautious with their foraging. By way of example, Viljoen advocates for the eating of some plants that have historically been avoided because of their poisonous properties—Phytolacca americana (pokeweed), for example—suggesting that readers can avoid the poisonous properties of this and other plants by preparing them in very specific ways and eating only very specific parts. (Viljoen is a gardener and cook, but not a botanist nor doctor.) Readers on the hunt for less risky foraging suggestions may enjoy the excellent Northeast Foraging by Leda Meredith or Gary Lincoff’s The Joy of Foraging, and perhaps use either in conjunction with Forage, Harvest, Feast for recipe ideas. The danger of relying on cookbooks for information such as how to best forage plants and what is edible as opposed to potentially toxic is well-illustrated with the recent recall of another 2018 title, Tales from a Forager’s Kitchen: The Ultimate Field Guide to Evoke Curiosity & Wonderment (2018) by Johanna Holmgren. Pulled from shelves because of its recipes including raw morels, elderberry, and uncooked acorns (to say nothing of her recipes using queen anne’s lace—a close relative of poison hemlock, to which it bears a similar appearance), the scandal surrounding this title makes a strong case for informed, expert editors who are experienced and highly-trained. Publishers of similar titles will hopefully take note and vet future non-scientific foraging works more rigorously, hiring trained experts (such as botanists) as fact-checkers when possible. 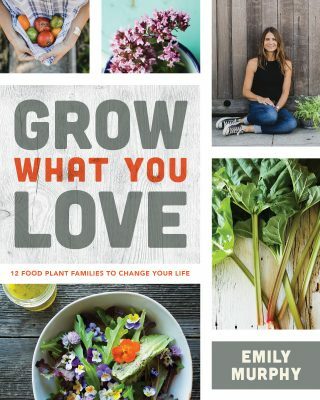 Finally, Grow What You Love: 12 Plant Families to Change Your Life (2018) by Emily Murphy is a fairly typical introductory gardening book. Replete with attractive photos and simple advice, it offers an inviting window into the world of edible gardening for those who know nothing or little of the topic. Readers wondering which 12 plant families are featured will be disappointed if they expected botanical plant families such as Lamiaceae, Apiaceae, etc. By “plant families” Murphy means groupings such as “winter greens” and “edible flowers.” Murphy is a web series host, a contributor to Better Homes and Gardens, a garden design and organic gardening consultant, and a teacher of organic gardening.